Well, hello August! Summer is already here and I can’t wait to introduce you to this lovely lady whom I met online. Introducing Misha Johanna, the cool lady behind her travel and work blog www.mishajohanna.com. 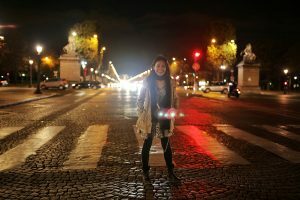 Once I saw her blog and read about how she travelled solo around Europe for almost 3 months, I knew that I have to interview her. What a coincidence is that she felt the same way and we got in touch with each other. Would really like to meet her soon in Bali though! Meanwhile, let’s get to know the Superwoman of August 2017, Misha Johanna! My Couchsurfing friends! I used to host a lot when I was still living alone, so I made friends with incredible solo travellers from around the world. One of them travelled for a year and she managed to master a new language (Spanish) while exploring Latin America. Another one wrote a book about his hitchhiking trips across Australia. One even landed her dream job while backpacking in New Zealand! 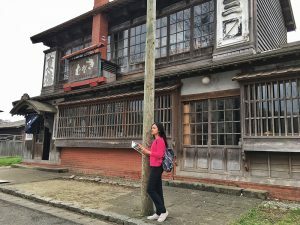 All of them had such cool stories and they seemed to ‘grow’ a lot from their experiences… so they successfully ‘poisoned’ me to try solo travelling as well. I took a flight by myself when I was 10! I flew from Jakarta to Yogyakarta, but I had my mom bringing me to Soekarno Hatta and my grandma picking me up at Adisucipto, so it wasn’t that dramatic. As an adult, I’ve been travelling since 2010, but my first solo trip was just in 2016, when I went to 26 cities in 18 European countries for 77 days. In Europe, I basically visited friends and family and jumped from one host (or hostel) to another while exploring around. LOVE: 1) The freedom to decide my own itinerary and modify it anytime I want. No drama with travel buddies because one wants A and the other one wants B! 2) It’s easier to make friends with local people or find a host when I travel by myself. 3) The confidence and independence that keeps growing inside. Solo travelling makes me learn more about ME – things that I like and things that are just not for me. HATE: 1) No one to have a secret conversation with or joke together when there’s something funny happening. 2) No one to share costs with. 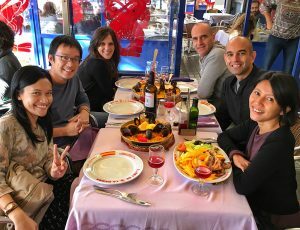 Some things can be cheaper when you travel in a couple or in a group, like accommodation or train tickets for instance. 3) No one to take my photos! I don’t normally ask strangers on the streets to take my photo cause I don’t want to risk having someone running away with my phone/camera. What are your favourite websites and travel apps do you often use? Google Maps, Google Translate, Couchsurfing, Hostelworld, Airbnb, Booking.com, HotelQuickly, Skyscanner, Uber, Grab, GO-JEK, Eatigo, and XE.com. What is your favorite country so far? Any recommendation for female solo traveler? So far I have only been to 2 continents, and I cannot choose between 2 countries – so let’s just say that my favourite in Asia is Japan and my favourite in Europe is Spain. Both countries have a super delicious cuisine, friendly people, interesting culture, and many places to explore! However, if you ask me what country I would recommend the most to female solo travellers, my answer would be Sweden. Go to Stockholm. The city is safe, vibrant, and has so many good-looking guys – like seriously!!! Smartphone, power bank, earphone, reading glasses, lipstick, eyebrow pencil, compact mirror, blotting paper, hair brush, hair band, tissue, drinking bottle, and umbrella. These are what I carry in a handbag or small backpack. In my luggage or big backpack, besides clothes and shoes/sandals, I’ll bring a microfiber quick-dry towel, toiletries, full make-up and hair products, hairdryer, sanitary napkins, first aid kit (containing: paracetamol, Salonpas, band-aids, etc. ), copies of my passport / visa / travel insurance… and my laptop. I need my laptop to update my travel diary every night before I go to sleep. Btw, I don’t bring camera cause I always take photos using my phone only. Everyone has their quiry thing when they travel. I love doing temple hunting and visiting museums. So what’s yours? I love to try funny/weird things that are considered normal in other countries, for example: eating space cake at a park in the Netherlands, meeting Santa Claus in his hometown in Finland, getting naked under the snow at an outdoor onsen in Japan, and walking around the city with my face fully covered with thanaka in Myanmar. Oh, and I collect fridge magnets, too. Share your tips for any first time solo traveller? Always trust your instinct and use logics when making any decision. Other than that, sometimes you gotta be a little crazy, so don’t think too much and just go! What’s your favorite travel quote that’s best describe you? Misha is a travel & work blogger who’s also a big fan of dogs, horror movies, and makeup. She was born and grew up in Jakarta, and spent 2 years in Magelang, 5 years in Yogyakarta, and 2 years in Bali. 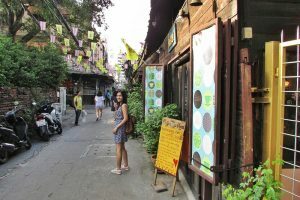 She made the craziest decision to quit her job in Bali in 2015 and just moved to Bangkok, Thailand – where she actually had never been to this city previously. Misha landed an office job and worked there for 2 years before returning to Indonesia and now continues to work remotely from home. After joining a 10-day university program back in 2010 in Siem Reap, Cambodia, Misha became addicted to travelling. 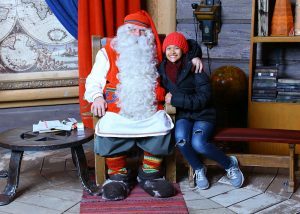 So far, she has travelled to 30 countries in Asia and Europe, and is definitely looking forward to keep ticking more countries on her bucket list. She dreams to live in a Spanish-speaking-country since she has been learning the language for quite some time. 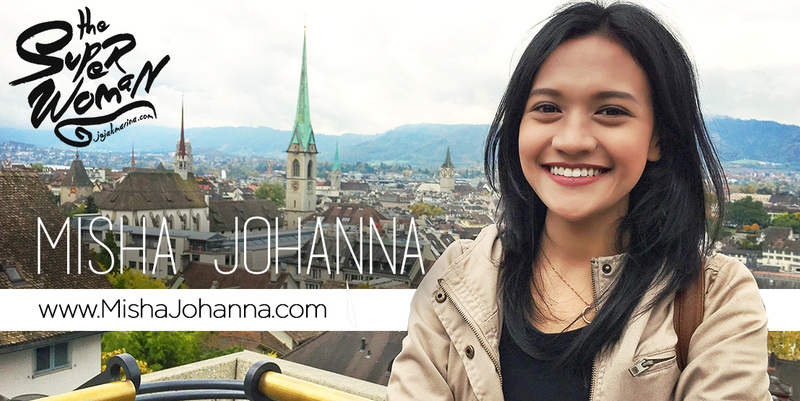 She hopes to inspire more Indonesians (women, especially) to go and see the world. She believes that it’s what Indonesia really needs: for the people to open minds and broaden perspectives, in order to understand that humans have different cultures and ways of living around the globe.